SYNOPSIS: The London Institute is under harsh evaluation after having harbored a spy, and eliminated a vampire clan that had been falsely accused (despite breaking the law regardless). Questions are being raised of whether Charlotte and Henry are really cut out for this kind of responsibility. They are given a chance to prove themselves and ensure their spot at the institute though. They have two weeks to find the one who calls himself The Magister; Axel Mortmain. 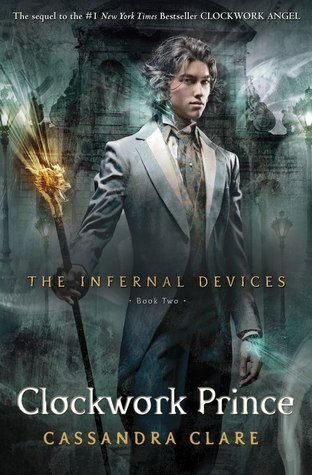 REVIEW: After a years’ worth of anticipation – I could hardly wait to get my hand on the next installment of The Infernal Devices. I will admit though, after reading subtle hints or blanket statements from both Cassandra Clare (via Twitter/Facebook – I don’t know her personally obviously) and other blogs/fans/etc., I was also sort of dreading this book – mostly because…and if you read my blog regularly, this will not come as a shock to you…there was a true blue love triangle in this series. ARRrrg! I fell hard and fast for Will Herondale in Clockwork Angel. His wit, love of books, and secrets were intriguing to me. (And I’m a bit like Magnus Bane – I really like black hair/blue eyes, what’s more attractive?) Don’t get me wrong, I like Jem….in a nice, sidekick/bestfriend/guy who will always be there sort of way, just not as a love interest. That being said; I both absolutely loved and really hated Clockwork Prince. (“Hate” is not indicating how GOOD this book was, it was excellent!) I cannot, will not diverge on all the reasons I hated the book. I will just say that there IS a love triangle, and while Tessa does get hot and heavy…ITS WITH THE WRONG GUY!!!!!! Not that Will didn’t get his fair share of play time as well, but still. Another reason I do not like love triangles: someone will always get hurt. Badly. Usually more than one someone. I love Tessa, she is funny and wonderfully nice. It’s that “nice” that is getting her into trouble though. This all would never would have started if that nice, ‘I don’t want anyone to get hurt/be hurt by me’ attitude didn’t present itself. Granted, she had her fair share of hurt, by Will none-the-less, I just think it was always obvious that he was lying. It was obvious something more was at play with him. Patience is a virtue. Okay, so why did I love this book? Well let’s see. First of all, we get to see and learn more about Will. I find this funny because I remember reading someone say that this was “Jem’s book,” and I can see where that might partially be true, but we don’t learn much more about Jem that we didn’t already know. Will and his past was a larger part of this book. Clockwork Prince was the “inbetween” novel, the middle one in a series that gets you from Point A to Point B. It is also the novel that in most series you get the most insight and historical details on most if not all of the characters and the situation at hand. While sometimes it can make a book seem long depending on the author, I tend to like these middle books because I like knowing why people are the way they are and why they act the way they do. Cassandra Clare does an awesome job of doing this while at the same time keeping the storyline moving forward. Progress is made in finding out the how’s and why’s of the automatons and the Magister, but not much. Just enough to keep the story engaging, the real movement in this book is between characters. 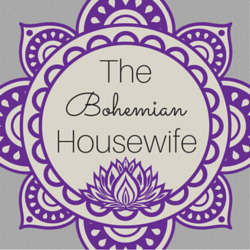 A quick rundown of some of that movement: We learn more about Axel Mortmain, and why he might hate Shadowhunters so much. Charlotte and Henry are also front and forward a lot more, and we learn of the sweet delicate relationship they share. I was a Henry fan from the start. He’s cooky and distracted, but I always knew that his heart is exactly where it is suppose to be, and that is proven in this novel. Jessamine plays a rather large part in this book, and I’m curious to see if she will be able to redeem herself after this book. Gabriel and Gideon Lightwood…just wait and see. We get a bit more of Magnus Bane, and given that he’s a reoccurring character in two of Clare’s series, it’s fun to sort of gather bits and pieces of his life at random intervals and periods of time. There are also a lot of hints and nudges in the direction of where Tessa came from and how she may have come to be – but nothing definite yet. That is obviously going to have to wait for the Grand Finale! There was a lot of foreshadowing going on in Clockwork Prince – I may have been looking for things that weren’t actually there, but I don’t think so and I’m looking forward to finding out if I’m right. I’m not going to tell you some of the things I picked up on, because I don’t like ruining anything – if you didn’t see it you’ll just be that much more surprised when it comes up. I will say that I’m a tinsy bit suspicious of that cook. What is her DEAL?